This week’s ColourQ was definitely a challenge for me! It was easy finding the paper I wanted to use for this one, but I had the hardest time deciding how much was enough to put on the card. I kept thinking the card needed just one more thing, but when I tried my different ideas, the original seemed to be just fine. The colors made me think of citrus fruits, so I picked this paper from KI Memories. I used some Creative Impressions ribbon to accent the custom brad that I made with my i-Top. 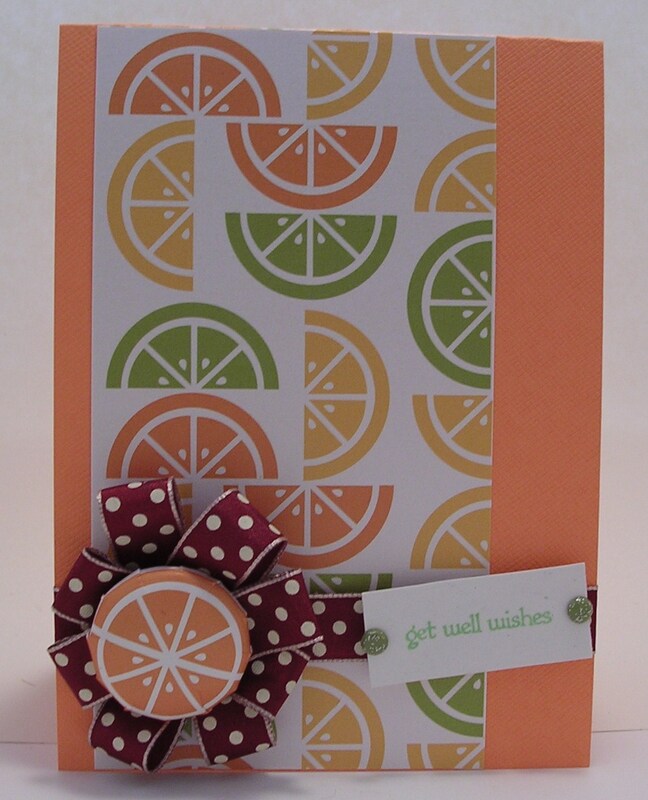 I chose “get well wishes” from my Stampin’ Up collection…Seeing all the slices of orange, lemon and lime got me thinking of Vitamin C, and that led to a get well card. I enjoyed hearing about how you came to the idea of this card. This is so fun! Vitamin C and Cheer are definitely in the card! 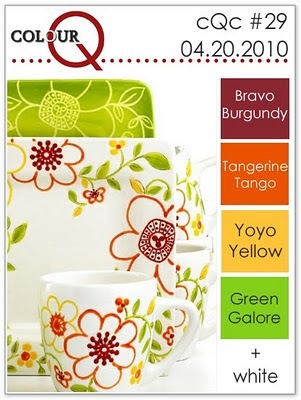 Thanks for joining us at the Colour Q this week!